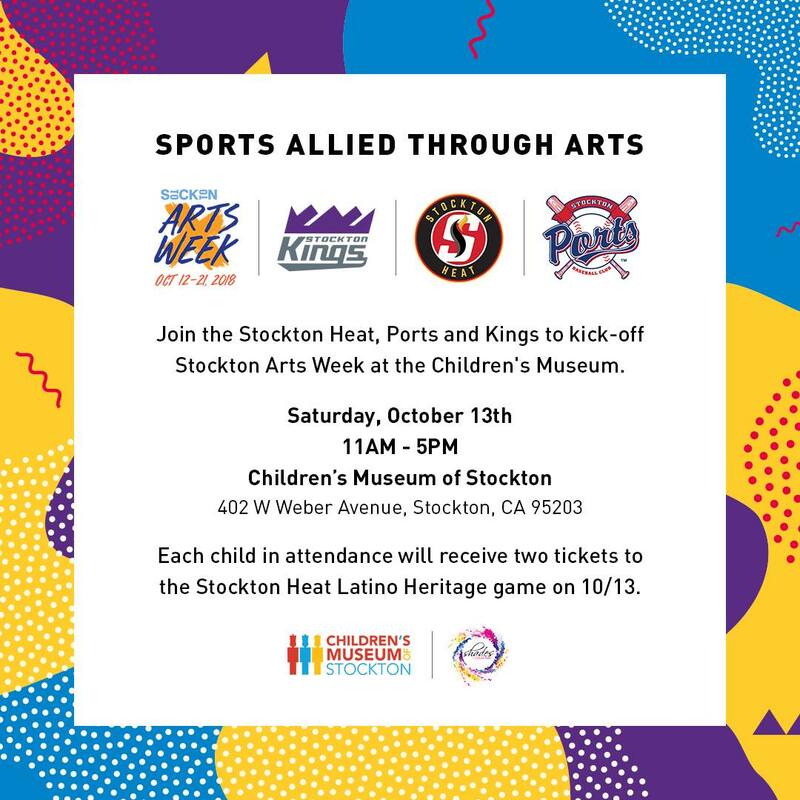 The Stockton Heat, Ports and Kings are collaborating for the first time ever to bring you Sports Allied Through Arts to celebrate Stockton Arts Week! Join us for a variety of art activities while mingling with the Heat, Ports and Kings staff and mascots! Each child in attendance will receive two tickets to the Stockton Heat Latino Heritage game on October 13th. Shades of Color and the Hispanic Chamber of Commerce will also be participating in this fun event. Come on out and enjoy this family friendly event celebrating sports, art and community! Admission is $6 per person for everyone ages 1 and older. Our adult admission policy applies to this event. All adults must be accompanied by a child and all children must be accompanied by an adult.